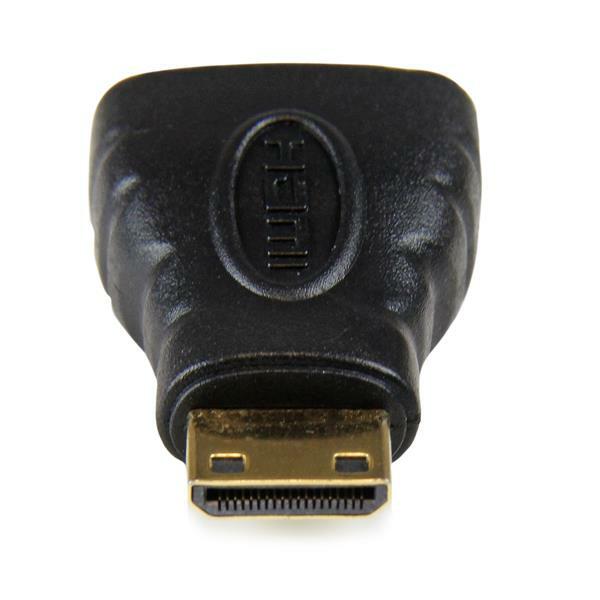 The HDACFM HDMI® Female to HDMI Mini Male Adapter converts a Mini HDMI port to a standard HDMI port, which enables you to connect an HDMI Mini (Type C) capable device such as a digital camera, to a standard HDMI-capable device (HDTV, projector etc.) using a Standard HDMI cable. 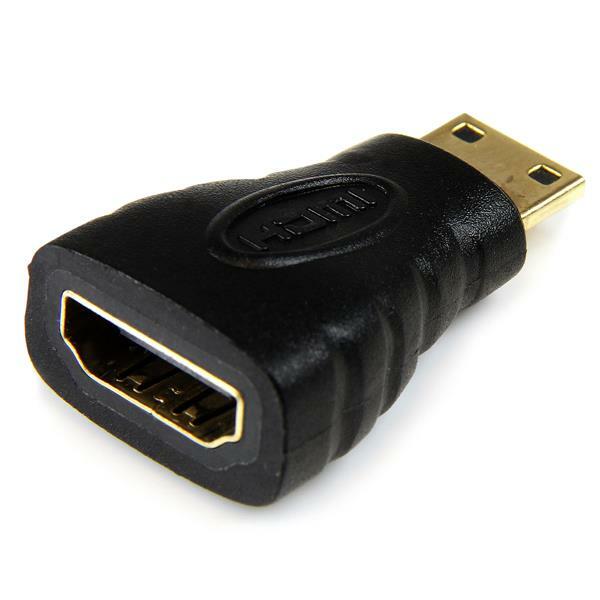 The HDMI-Mini HDMI adapter is built to provide long-lasting compatibility, and is backed by StarTech.com’s Lifetime Warranty. 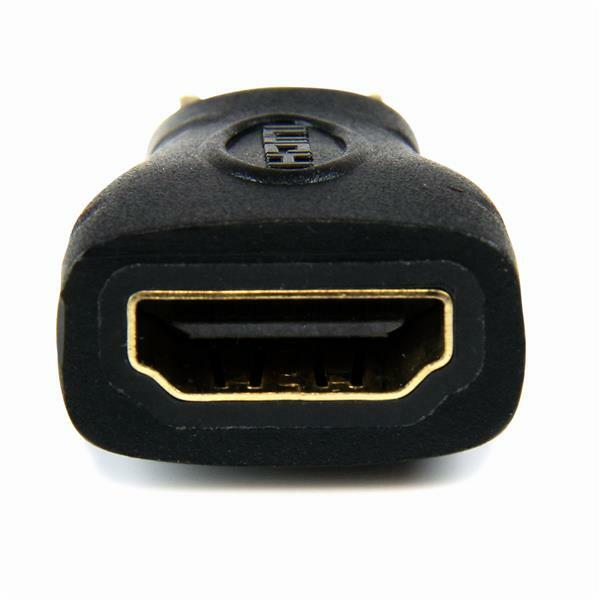 Please Note:This is a replacement product for StarTech.com's HDMI® to HDMI Mini Adapter - F/M (HDMIACFM).